Granny Pods 101: What Are They & How Much Do They Cost? It’s a topic most of us don’t want to talk about: caring for our aging parents. No one wants to put their parents in a nursing home, but sometimes, we just don’t have the capacity to care for them ourselves. Granny Pods offer a compromise: Keep your loved ones close to home, but allow them to live independently. Think of a Granny Pod as a modern mother in law cottage. 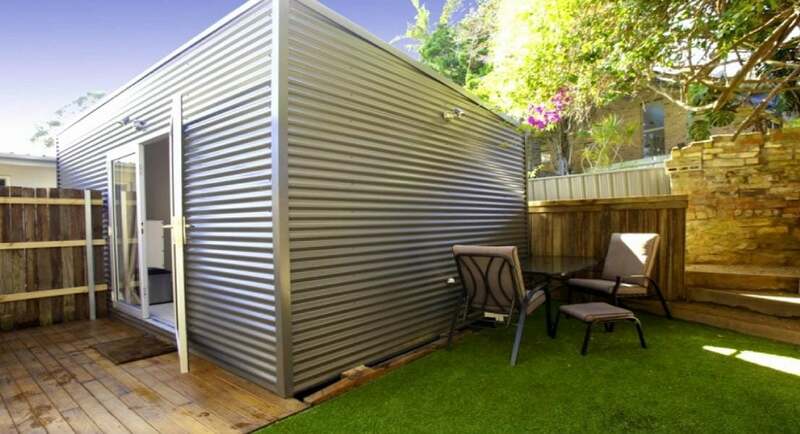 These tiny home-like structures have everything your parent needs to lead an independent life, yet the structure is small enough to fit in most backyards. Your parents can live in their own space, but they’re still close to home. Many pods also come equipped with monitoring systems and other advanced technologies that allow parents to live safely in the structure. The great thing about these pods is that they’re completely mobile. If you have to sell your home, you can take the pod with you. Why Would You Need a Granny Pod? Why would you want a Granny Pod in the first place? Some people don’t like the idea of pod homes for aging parents. They liken it to throwing the elderly in a shed in the backyard. But the truth is that people want to maintain their independence – especially in old age. They don’t want to live in a nursing home facility. They want to be in their own space, surrounded by family. Pod homes give them the chance to be close to their loved ones while still maintaining their independence. What Do Granny Pods Look Like Inside? Pod homes look just like any other home both on the inside and the outside. And there are many Granny Pod floor plans to choose from, so your parents can find one that matches their personality and lifestyle. What the interior looks like will depend on the company you purchase the pod from. Health monitoring: Discreet monitors keep track of important health indicators, like movement, vital signs and activities. The systems communicate with caregivers. “Smart” home features: Door locks, HVAC, lighting and A/V can be controlled remotely or automatically. ADL assistance: Automatic ceiling lifts and special bathroom fixtures allow for assistance with eating, mobility, bathing and using the bathroom without the need for a caregiver’s assistance. 24/7 help: A voice-activated virtual caregiver is available 24/7 to assist with medication reminders and schedule. It also responds to care needs and can facilitate social interactions. If needed, the virtual caregiver can contact a real care provider. A floor-level video monitoring system. The cameras can only capture the floor at ankle level, so you can monitor the home for falls. Parents maintain privacy, but help can be dispatched immediately if a fall occurs. Special lighting. MEDCottage pods have lighting at knee height along the walls to illuminate the floors and further help prevent falls. Pressurized ventilation. The system can keep outdoor air out if the resident has a compromised immune system. There are several MEDCottage models to choose from, but the basic model is 12′ x 24′, or about the size of a master bedroom. The pod home has vinyl siding and double French doors to accommodate hospital equipment or a wheelchair. Just as the name suggests, the homes look like small cottages or bungalows. If built correctly, pod homes are perfectly safe. Many manufacturers build the homes to exceed local and state building codes. The homes also come with added safety features you would normally only find at advanced healthcare facilities. Do All States Allow Granny Pods? 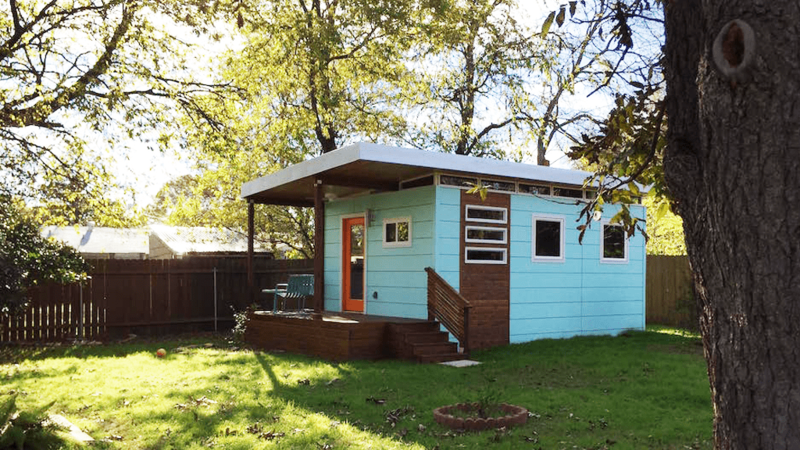 Granny pods are considered an Accessory Dwelling Unit, or ADU. ADUs are defined in most zoning ordinances, but not all municipalities allow them. You’ll need to check with your local authority to find out if you can place a pod home in your backyard. Some states, like Virginia, have adopted special ordinances specifically for ADUs being used for healthcare purposes. Need: You may need to demonstrate a qualifying need before you can get approved for a granny pod. Generally, this means that a physician will need to verify that the person has a physical or mental impairment that hinders two or more daily activities, such as eating, bathing, dressing, toileting, etc. Building Codes: In states where pod homes are permitted, they must still meet the local and state codes for mobile or manufactured homes. Temporary: While granny pods may be put in place as long as needed, they are given a temporary status and may not be placed on a permanent foundation. Permits: You may need to obtain special permits before placing the pod in your yard. Size: Some jurisdictions restrict the size of these temporary homes. These are just a few of the many restrictions you may encounter. Be sure to do your research and get all of the details before you commit to buying an ADU for your loved ones. How Much Do Granny Pods Cost? You can find granny pods for sale online – but how much do they cost? Prices for the MEDCottage Classic can range from $85,000 to $125,000. You also have the option to rent a pod if you live in NC, SC or VA. Renting is about $2,000 a month. That may sound pricey, but it’s cheaper than nursing home costs (skilled nursing care can cost $93,000 a year) and allows you to keep your loved ones close to home.